So I've got a couple crabs right now but one has been buried (molting) for a couple weeks and the other doesn't come out as much as he used to I think he's just lonely because he's got an enormous house - 36 gallon bow front with 5" of sand+EE and a bunch of stuff for him to climb (he almost escaped on the first night!) - and no one to share it with! I read a few things about dipping them in freshwater or something before adding new crabs to a crabitat? I guess I'm just looking for tips on how I should proceed with adding 2-3 crabs to a crabitat lol. It's a good idea to dip new crabs in freshwater before putting them in the tank. 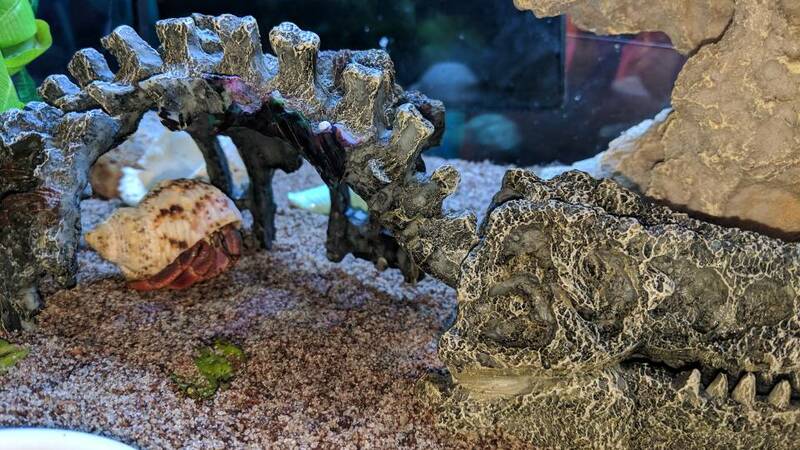 Substrate should be minimum 6" or 3x the height of your largest crab. Whichever is deeper wins.